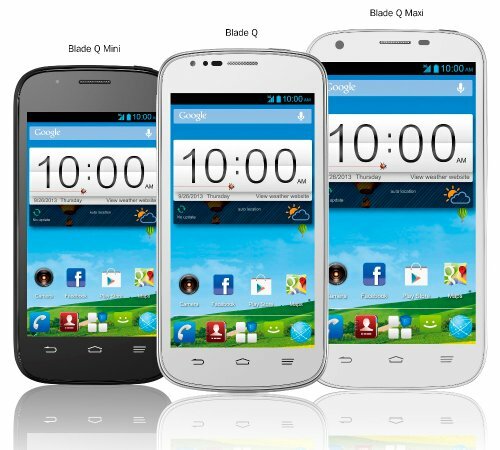 ZTE has announced three new smartphones in blade series for the European Market, the Blade Q-Mini, Maxi and Q. The prices of the handsets are not announced yet, but specs are known. All the smartphones has 1.3GHz dual-core CPU, 1GB of RAM, 5MP rear snapper and runs on Android 4.2 Jelly bean OS. The company has pre loaded Evernote, Dropbox and office suite to all the new handsets.